This program is for the littler kids ages 5 and under. It is the perfect way for parents to be able to enjoy their guest ranch vacation. These young children are taken care of and entertained by our counselors, while the parents take part in the various ranch activities throughout the week. The Buckaroos participate in a number of activities including horseback rides around the ranch, games, crafts, and picnic hikes. The counselors can take care of any individual needs such as naps, baby feeding, etc. 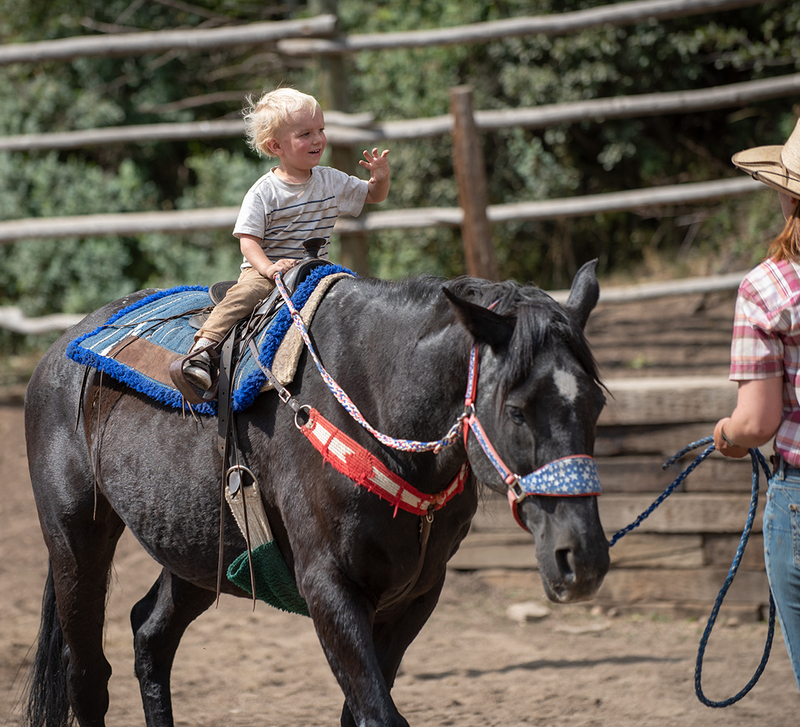 Since our Colorado dude ranch is heavily family oriented, families eat meals together, parents can partake in any of the children’s programs and riding, and our evening entertainment also includes the kiddos and encourages them to get out of their shell with talent shows and line dancing. Our Range Rider program, for kids 6 – 13 years old, is built around an instruction based horseback riding program where they practice basic riding skills in our arena first before setting out to the backcountry on their morning and afternoon trail rides. These young riders advance to loping and all day rides as their abilities improve. 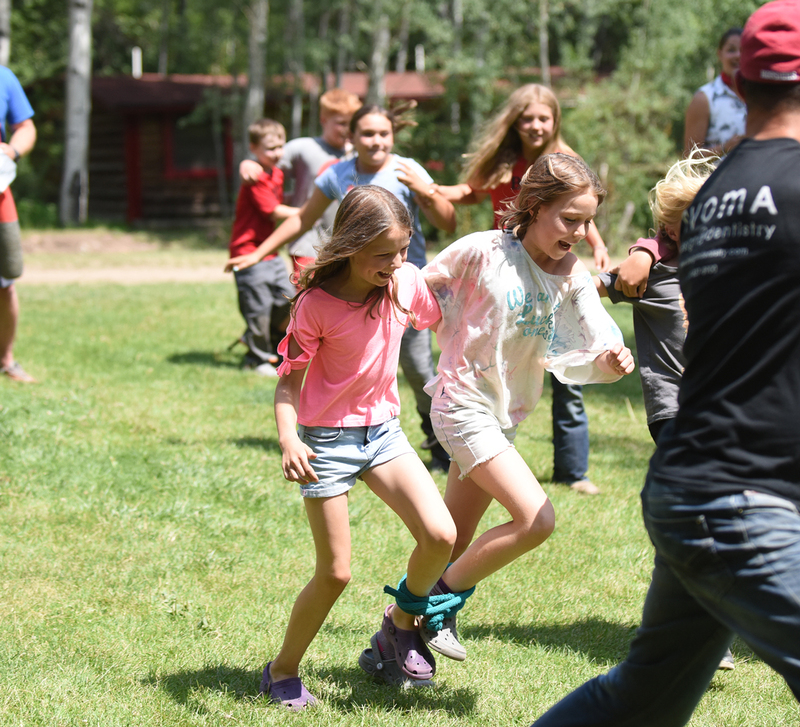 Before and after the rides our counselors have other group activities to do such as an obstacle course, horse brushing, zip line course for age 10+ years old, swimming, hiking, archery, rafting, lassoing a steer head, and other fun and engaging group activities. Give us a call and we can let you know what weeks we have lots of other teens. We consider teens 13-17 years old. Teens have the options to join up with the adults, other teens or Rangeriders for riding and other activities during the week. A highlight of many teens is our Tuesday night teen Cabin hike and dinner. What amenities does our ranch include?